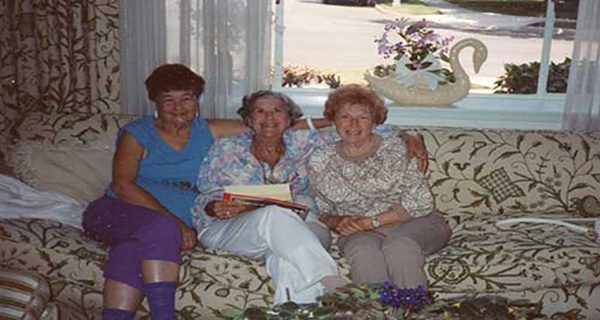 Lakewood, California was developed by three Jewish developers: Louis Boyar, Mark Taper, and Ben Weingart. January 10, 1898, Chicago Illinois, Louis Boyar was born to a modest family of Russian descent whom not long before were the Boyarskys. They spoke Yiddish and read the Yiddish newspaper. One of his brothers was Herbert Boyar. Edith Boyer was his sister. Louis, phonetically pronounced, “Lewie”; silent “S,” lived in Chicago during the period famous Jewish gangsters Mickey Cohen, Meyer Lansky (the financial arm of the Jewish Mafia), and Bugsy Siegel controlled Chicago. 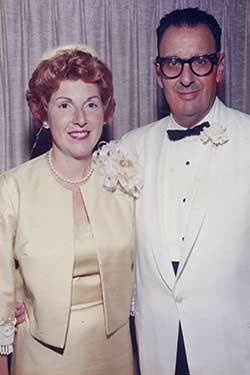 Louis Boyar married Mae, his wife of many years. Their son was Marshall Peter Boyar. Louis Boyar left Chicago, for Los Angeles, around the time Cohen, Lansky, and Siegel came to Los Angeles. In 1939 Louis Boyar allegedly started his Los Angeles development business with a $700 loan. He became involved in building government housing. 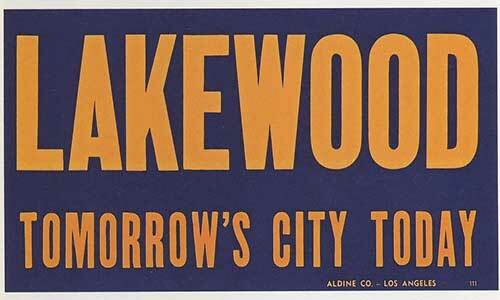 Soon he conceived the idea of Lakewood. The concept was born out of a financial loophole in government lending regulations, the rule no home in the subdivision would be more than fifteen minutes from Lakewood’s commercial district, and suburban home ownership for returning veterans. Approximately $15,000 from Boyar and Weingart went into building Lakewood in 1949. 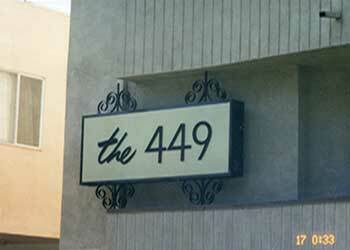 The construction effort was largely financed by the FHA. In one of Boyar and Weingart’s legal maneuvers Lakewood was built as a cooperative with the concept it would house their employees, but only three of Boyar’s employees lived there. Weingart had earlier convinced the United States Senate that America would earn over $100,000,000 (roughly $132 billion in today’s dollars) through FHA/VA financing (GI Bills) the home buyers incurred. Some sources claim Lakewood is the largest suburban development. 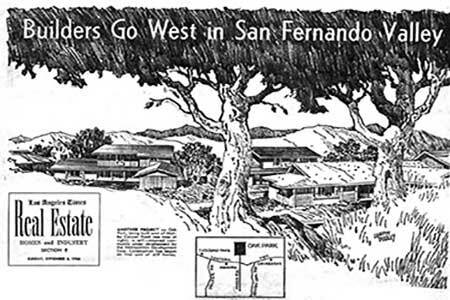 The writer of this article disagrees citing Panorama City (built by Kaiser) as the largest in Los Angeles County, and Levitt Town the largest in the United States. Boyar and Weingart’s profits from the Lakewood development were approximately $12,000,000 ($120,000,000 today). Boyar also sold off numerous commercial lots. 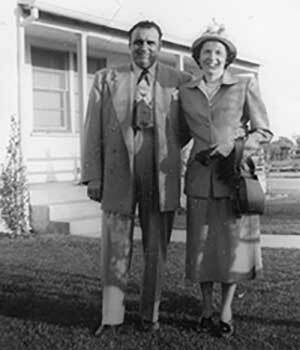 Boyar built one tract home for his sister Edith (Edie to family) and her husband who by this time retired to California after heading the Midwest Financial Exchange. Edith Boyar remained in the home until her death in 2002 at the age of 94. Karl Gerber was a pallbearer at her Hillside Memorial funeral in Culver City. During the boom days of Lakewood, Herbert Boyar was installed as the proprietor of an appliance and carpet store the new Lakewood residents used to upgrade their tract homes. A family member of Fanny Boyar, close to her during the 1950s, disclosed to Gerber this store went bankrupt once most of the Lakewood residents equipped their homes. 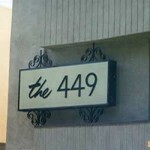 Nonetheless Herbert managed to maintain a south Maple Drive home in Beverly Hills before 1968 when he purchased a contemporary, luxury eighteen unit 30,000 square foot apartment building known as, “The 449” immediately south of Burton Way on Le Doux. Following the Lakewood development Louis Boyar became involved in many causes. 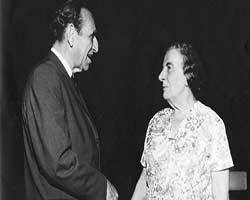 During the 1950s he and Samuel Rothberg conceived of the State of Israel Bonds aka Israel Bonds. This was the chief investment vehicle for transforming the new Jewish State of Israel from desert to fertile land. The dollar amount of these bonds, sold in the Los Angeles Jewish Community, alone, is in the billions. Until his death Boyar was the principal leader of the Bonds for Israel program. Boyar’s Zionist beliefs were evident during the 1940s. He is credited as lobbying President Truman to support the notion of the Jewish State of Israel. By 1959 radio personalities Fibber McGee and Molly’s movie ranch near present day Agoura, California was sold. Boyar’s Metropolitan Development Corporation (MDC) (California General Contractor’s License Number 189342) purchased the land and built Oak Park. He named it after a pleasant area in Chicago he did not grow up in. The Mae Boyar Park remains in Oak Park, a residential area between Calabasas and Agoura. There is also a park named after him in Lakewood. 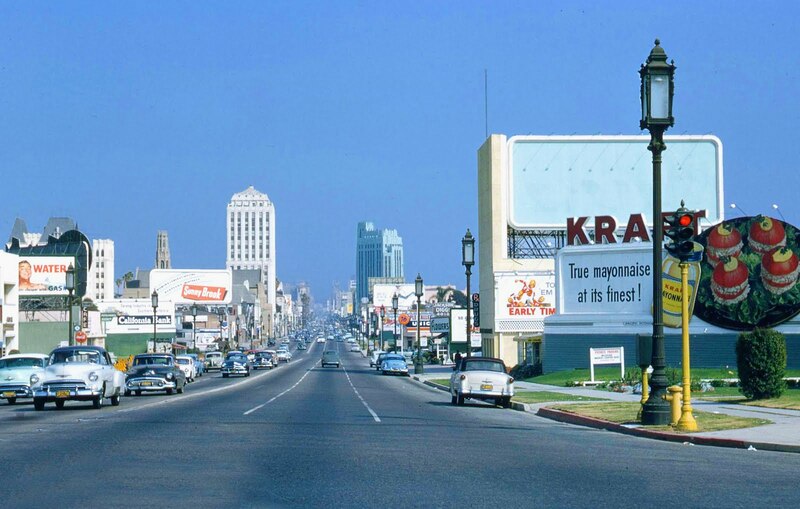 By the early 1960s Boyar was more than a Los Angeles philanthropist. After his wife died he also spent considerable time in Israel. 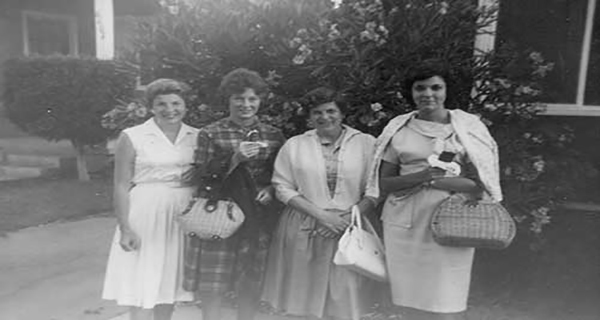 In 1964 Louis established the Mae Boyar High School in Israel. Today this is one of Israel’s most prominent high schools. In 1967 he received an honorary Doctorate from Hebrew University. There is a Boyar building at Hebrew University. In 1971 Louis Boyar became the subject of gossip. The June 17, 1971 front page of the Los Angeles Times reported Boyar was romantically linked to Golda Meir, who at the time was the Prime Minister of Israel. Today she is known as, “The Grandmother of Israel.” They were frequent guests at a Hungarian restaurant on the outskirts of town. 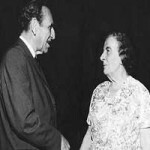 In a 2006 Tribe article Louis Boyar’s granddaughter disputed the romance but stated Golda was a very close personal friend of the family and a frequent guest at their Shabbat dinners. Louis and Golda were born the same year, both were of Russian descent and custom, and had lost their spouses by this time. The romance, even if somewhat clandestine, fails to register on the scandal scale of today. Declassified FBI records and other published sources indicate that in 1971 Louis Boyar attempted to sponsor a visa for old mob man/fugitive Meyer Lansky who was on the FBI 10 Most Wanted List (he was also on the FBI Hoodlum List for many years). Boyar denied knowing Lansky, and stated his reasons for the visa sponsorship was he believed any Jew who wanted to gain entrance to Israel should be allowed the opportunity. Within months of this article being published Herbert Boyar died. Grand-daughter Heather was born later during the year and named after him. 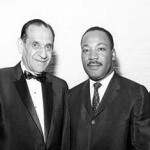 Louis Boyar died December 12, 1976 at a Man of the Century Dinner in his honor. At that time he was the chairman of the Israel Bond Board of Governors and national chairman of its Trustees of Israel; Chairman of the Board of the Israel Investors Corporation; a member of the Board of Capital for Israel, Inc.; Vice-President of the American Friends of the Hebrew University; a member of the International Board of Governors of the Hebrew University in Jerusalem; Advance Gifts Chairman of the Los Angeles Jewish Welfare Fund, and national Vice-Chairman of the Trades and Professions Council of the United Jewish Appeal. He established the Mae Boyar Children’s Home in Israel as a memorial to his late wife; the Boyar-Kling Arthritis Clinic in Tel Aviv; and was campaign chairman of the Brandeis Camp Institute of the Pacific. Other positions he held were Chairman of the Los Angeles Committee for Bonds of Israel Government; National Vice-Chairman of the National Jewish Trades and Professional Council; General Chairman of the United Jewish Fund Campaign; President of the United Jewish Welfare Keymen Organization. He also assisted in the campaign to elect Harry Truman, was an accomplished fundraiser for the Democratic Party, and assisted in the Hubert Humphrey Presidential Campaign. 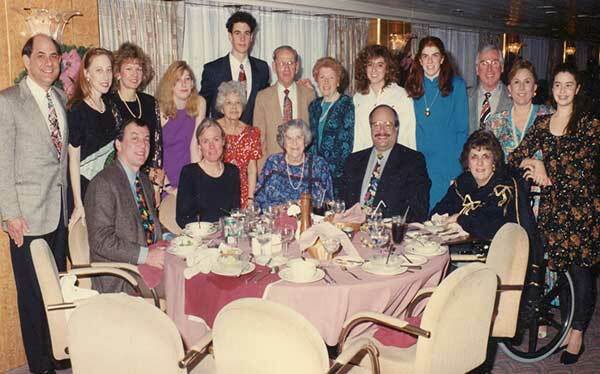 Louis Boyar’s nephew, Roger Boyar then a prominent developer can be seen third from the top right next to Janene Gerber, granddaughter of Herbert Boyar followed by sister Heather Wolfe-Kayne and then their grandmother Fanny Boyar. Edith Boyar is seated in front of the table, next to a mustached man. Edith is wearing blue dress. Next to her is Stephanie Boyar-Wolfe. Date of photograph, early 1990s. I had so many Jewish, Hispanic, Latino friends growing up here in Lakewood, but let’s not forget about the real estate covenants designed to keep them out – or at least out as owners. It was not idyllic for all our friends and neighbors. 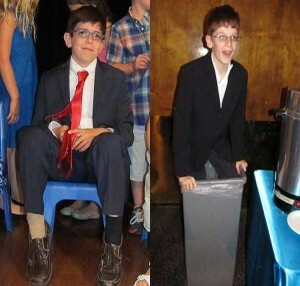 Not just the Okie, Arkie, and Jewish kids that were close friends, but all the kids that fled from the US involvement in Honduras, Nicaragua, Guatemala, Salvador….we all learned so much from each other – and had great teachers at Holmes. (other than Mr.s Porter, who was an awful person IMHO). My father is Marshall Boyar. He passed away many years ago. 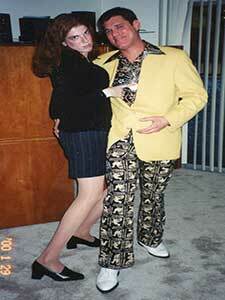 Joannie and Marshall had a son, Anthony Howard Boyar. My mother and Marshall had three children. Oh… I am so sad to now find your reply to Barbara Kalish’s comment… she died on July 25 of this year, 2018. She would have loved to hear from you. Is her wife… we married in 2013 when the Federal government allowed us to do so. We had been together since 1985. I am scanning some old photos… with Joan Eichenbaum and Marshall Boyar… and decided to look on the internet… this found your comment… I will monitor this page in case you are interested in the photos of your father. I knew Marshall Boyar in Beverly Hills., grew up with Tony Boyar throughout high school and college, new his mother Joni and her father Joe Eichenbaum personally and met Louis Boyer one time at Tony Boyer’s birthday party back in 1972. I personally knew all these people.